Posted on 04 March 2017. I often find that most of my music-listening is done through playlists. 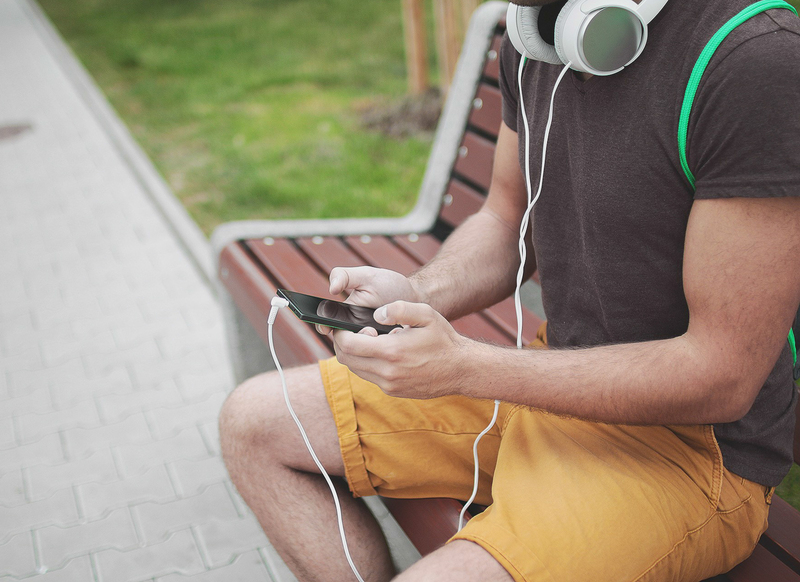 In a time of nearly instant gratification, playlists offer instant access to favorite songs, fitting whatever mood the day has created and best of all, anyone can create them. As far as playlists go, I totally get it: turns out everyone else does too. The research firm LOOP recently revealed that playlist listening accounted for 31 percent of all digital music consumption, compared to 22 percent of listening done through albums and 46 percent through single tracks (that last 1 percent being unreported surveys). This is mostly unsurprising; playlists and singles afford us a reprieve from the commitment to album listening that is often so hard to find time for. Yet, perhaps there’s something to be said for taking a listen to a record in its entirety. Kanye West’s somewhat controversial album, The Life of Pablo, is in many ways a testament to the complete record experience. While many of the songs work on their own as outright hits (who can leave out “Fade” in a dance playlist? ), the real strength of The Life of Pablo lies in its duality; it expounds excess and extravagance, reconciling it with sobering ideas of family and religious faith, warping all of these concepts together, then repeating the process rinse and repeat until the very end. This track-by-track odyssey is exhausting and rewarding at the same time, creating an exclusive experience unique to the record as a whole. Of course, not every album is so cohesive. This past Friday, we were fortunate to receive a second album from Future, following one released just the week before. HNDRXX is loaded with great singles, consistent in its excellent production and forward-looking it its sound (something Future didn’t seem to aim for in the first release two weeks ago), is good in its own right. However, it’s not really a cohesive listen; you could mix up the songs in any order without a real difference and many of the songs bleed together in their overall sound. In this way, Future has presented more of a greatest hits playlist rather than an album, providing a myriad of hits to choose from but no real concept to anchor one’s self to. On the other hand, last Friday also saw the release of Drunk, the best record to date from bassist and jazz savant Thundercat. The record places the listener in the day-to-day of the artist himself as intimate, funny or downright weird as that experience may reveal itself to be. Like The Life of Pablo and any other good album, the record has singles you could pull from it, but it works so much better as a cohesive listen. Somehow, the album’s themes of choosing Mortal Kombat over the pursuit of love, social media shaming and masturbation jokes all come together in an experience that unfolds before the listener in a more direct way then one could imagine. A good record like The Life of Pablo or Drunk is a format by which an artist can directly transport the listener into a space dedicated to their aesthetic vision, whatever it may be. When done right, the musician’s piece can be so much more than background music or the soundtrack to your gym regimen, so why render it to pieces?